A little update on our schedule: we are planning to release the three last chapters progressively during the Christmas holidays. Then, during one or two months we will work on a global balancing and improving ergonomy and feedbacks and then we’ll exit the early access (we expect it to happen during this winter). We are back for a new game update with a new chapter: “Storage”. We have fixed lot of issues and tweaked a lot of areas, although there is still a lot to update. We have also changed the end of the game a bit, including the content of the remaining chapters. The next chapter (required to leave “Storage” in the final version) is almost complete and will be uploaded in a few weeks: we have to reflect a few changes regarding the story and the modifications we decided for the end of the game. Until then, enjoy the new update! And, as usual, feel free to report any issues. More updates are coming shortly (including improvements to the AI system), so stay tuned, and have a great time exploring! It has been a while since the last big update. We have been very busy working on the next two chapters. It’s difficult to publish them separately as they are totally linked together to progress further in the game. We still have a bit of work before we publish them, but their release is not far from now. “Storage” and the “Black Mage Quarter” are the biggest chapters of the whole game. After those two ones, we’ll be close to a complete game release. – City visuals have been improved (especially the cave). – Temple wall set has been reworked and is now final. – Many new statuses (more than 10) have been added to characters (such as “poisoned”, “magic shield protection”…) and are displayed on the portraits (like the hunger/overweight/thirst ones were already). – A lot of new Items, weapons (both some long-range ones and melee kind), new armors and others various items. – New Spells (Magic Shield is now working and we added other ones). 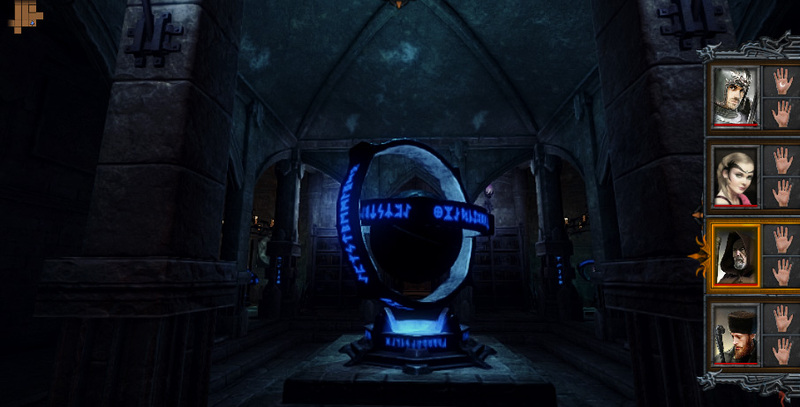 – The fireball spell was reworked and now looks visually different according to the level of the caster. But that’s not all, and that’s probably even more awaited: YES, finally, you can now play a NEW Chapter! Welcome to the Jail !!! Explore a totally new environment with a new level architecture, meet some new creatures, try to unlock 18 new secrets, and try to solve some new kind of puzzles! Thanks for your patience, and thanks again so much for your bug reports and support, guys! Version 0.9.934 is now live. The new system is better balanced, and allows us to more easily change combat and character progression. The new system also uses an external file to fully control all parameters, opening up the possibility for custom rules and even modding. We’ll be able to talk much more about this in the future. -You can now drop an item on a portrait to add it to the hero’s backpack, a feature that was requested by many players. There’s no longer any need to manually open the inventory and then click on a slot to put it there. Just left click on the portrait to drop the item, without opening the inventory. If the hero has an empty slot in their backpack, the item will be placed there. Note that, the right mouse button will still open the inventory. This will also work for ammo and stackable items, stacking them automatically. -Stamina is now fully implemented. -A cooldown is now applied to a hero after she casts a spell, just like when using items. -Fixed an issue with the white moon symbol when changing hero’s position. -Fixed an issue with the adventure book not opening after using esc key. -Fixed an issue with reading books after they were thrown, leading to some empty text. -Fixed an issue with the cursor remaining visible when opening in-game quick menu. -Fixed some jumps when using ladders in the Temple and Jail. -Improved adventure book’s scrollview behaviour, useful when you have read a lot of books/scrolls. -Improved auto pickup of ammo, it now by default adds the collected items to the non-casting hand. Beyond all the changes above, we’ve made improvements to the engine. 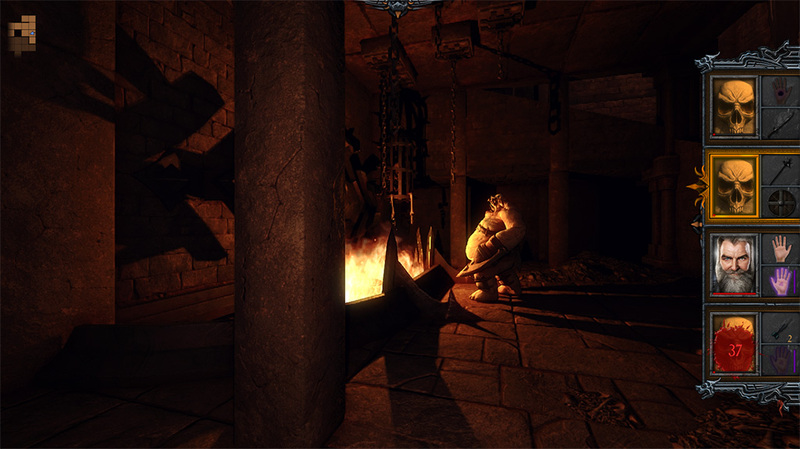 As a reminder, Dungeon Kingdom’s engine is designed to be used for several games. To make development faster, we need the engine of the first game to be powerful. That’s why we’ve improved it in several ways. We recently added inverse kinematics to creatures. This allows, for example, the feet of a creature to perfectly touch the steps of stairs, or perfectly follow a slope, all computed in real time. 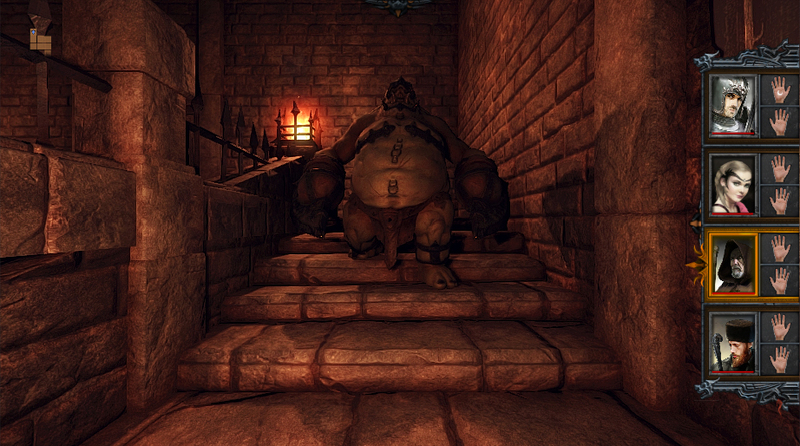 We were not satisfied with the creatures navigation until now, especially in the next areas of the game where there are a lot of stairs and height variations (much more than in the Temple). This is now working great! Also, inverse kinematics gives us the opportunity to make realtime procedurally generated animations: I’ll give you a simple example: when a creature switches a lever on a wall, from any position, the arm moves perfectly with the lever, without any pre computation or any work from an human animator. The last major feature and improvement is about the artificial intelligence of creatures. The previous navigation module was designed very early on in the project. Since that time, the game has changed and we decided to go deeper with regards to the design of levels, with potentially any shape, lots of floors etc. This game is far from simple 2D grids, as found in most classic dungeon crawlers. So we needed a better system, more robust and more flexible, and it has been developed on these last few weeks. We also improved the decision making module to make smarter AI, and more importantly, to allow mixing it with some specific behaviors when necessary. You’ll understand what we mean in the Jail and the other levels! 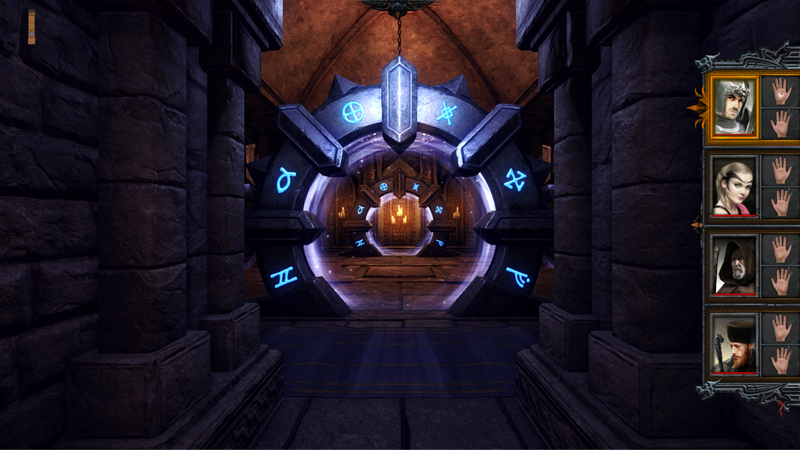 Please note that the current creatures in the Temple and City still use the old system and the old navigation module, but they are likely to be replaced over time. Now I have some great news. 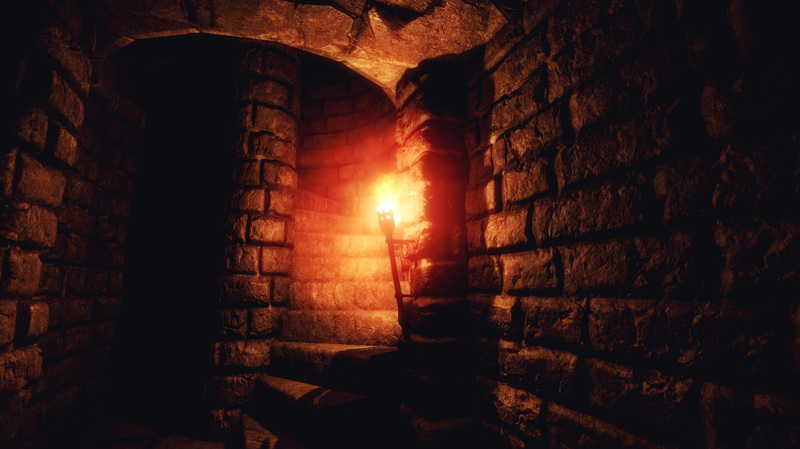 In the next build, you’ll explore a new area in Dungeon Kingdom, you will be able to leave the cellar and we’ll open more of the levels to everyone! Finally! First of all, we want to wish you all a Happy New Year and best wishes for 2017! 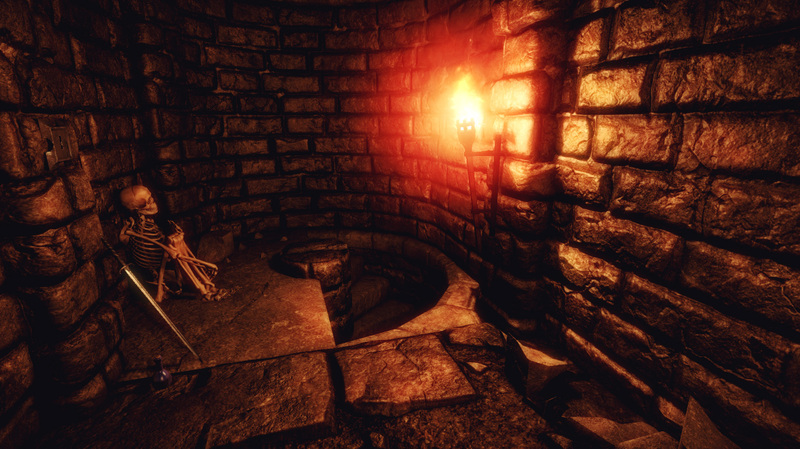 Hopefully this year will be full of exciting dungeon crawling experiences! This is the first of our new monthly updates, occurring on the last Thursday of each month. We’ve stealthily updated the game from 0.9.930 to 0.9.932. Included in this update are two core rule sets: the classic one that most of you are playing when launching Dungeon Kingdom, and the second one, which will eventually replace the current one (which is currently only accessible to a few beta tester players). We’ve rewritten all the core rules (damage computation, character progression, etc.). Once testing is complete, we’ll switch everyone over to the new rule set. This should happen within the next few days. This rule set change should make the game more balanced and more enjoyable. It also means we will finally be able to publish the new levels, as the proper balancing was a prerequisite for us before we could allow you to advance further in the adventure. -Ammo for bows, crossbows, slingshot, etc. don’t need to be in-hand any more. The game is able to get and count all the ammo items in your inventory. This leaves one more hand free (useful for casters). -Ammo is automatically picked up when walking over it (after being launched for example). -‘M’ key now both shows and hides the map. -Reduced some console spamming when hovering over items. -You can now rebind the strafe keys (check input tab in the launch dialogue). -Added a few items (dard, etc.). -Fixed issues with torch holder in the temple. And of course, a lot of other fixes (spelling, portraits puzzle, pools puzzle, wrong UI elements positions, etc.). Big thanks to our testers, especially to Micel Dars for the precious help on core rules. And thanks so much for those who left us a positive review. We released version 0.9.930 of the game. Check this link to know what was included in this BIG update! There are only a few days remaining before the next big update of Dungeon Kingdom. Before we put it into your hands, we are launching a second bunch of polls to get more feedbacks about some features of the game. As usual, simple click the links and answer the questions. One poll per link. Thanks so much to those who will take a few minutes to answer. We’ll publish a complete guide a few days later about the next update content as there are lot of new features and adjustments. After working a few weeks on the interactions, it’s now time for level building before we release the greenlight trailer. 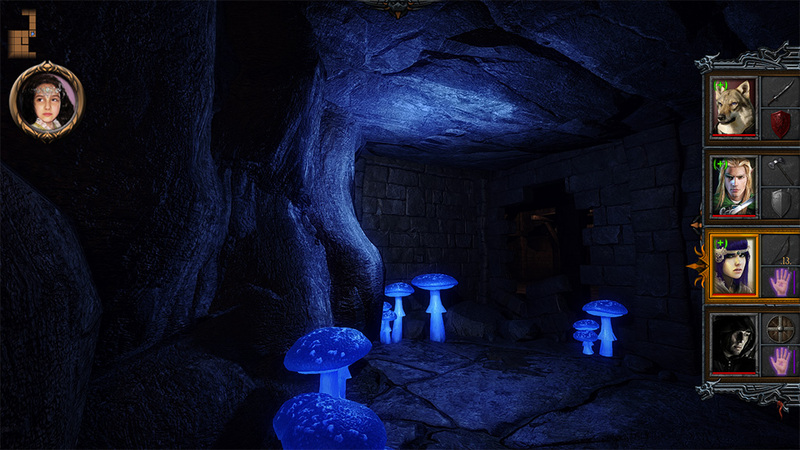 Here are a few screenies during level building stage of “The Underground Aberration” VR Dungeon Crawler! Currently running on HTC Vive and Oculus (with Touch controllers). We are delaying our release by a few months, from the end of summer to this winter 2016-2017. Even though we desperately wanted to stick to our original timeline, we’ve determined it best to head to full release with more content and more polish. Delaying until December gives us plenty of time to achieve what we want. This was a tough decision, and we apologize to any who are disappointed by it. We will do our best to release a game we will all be proud of in December. This decision was taken by playing and working on our own game for the last few months, listening to and observing our beta testers, and getting plenty of kind words from supporters asking that we take our time and to not rush things. We always said we prefer to not sacrifice the quality of the game to release the game early. That’s our way of thinking and to respect our fans who expect a lot from our game, we won’t change. We want the best for our dungeon crawler, and between making high quality artworks, testing balancing, or supporting a lot of languages, there are a lot of huge tasks for our very small team, but we have so much passion that nothing will prevent us from releasing the game we always wanted to put in your hands. -We’ve made a few decisions and slighlty modified our workflow, so you guys will enjoy again more regular updates. First of all, we may push updates in English and French only, and we plan to stop the time consuming task of translating all the texts (thanks to all our friends who help us!!!) at each update. We will include the extra languages translations in the final release only. This will save a lot of time. Secondly, we initially planned to release only 4 more levels (4 huge levels, remember our levels are not shaped the same way as most of the classic dungeon crawlers as we are not using stacks of 2D grid levels). However this requires too much time to test and balance the new areas before we can upload any update on Steam… So we have taken the decision to split the huges levels into smaller ones to make it easier to push new content regulary. 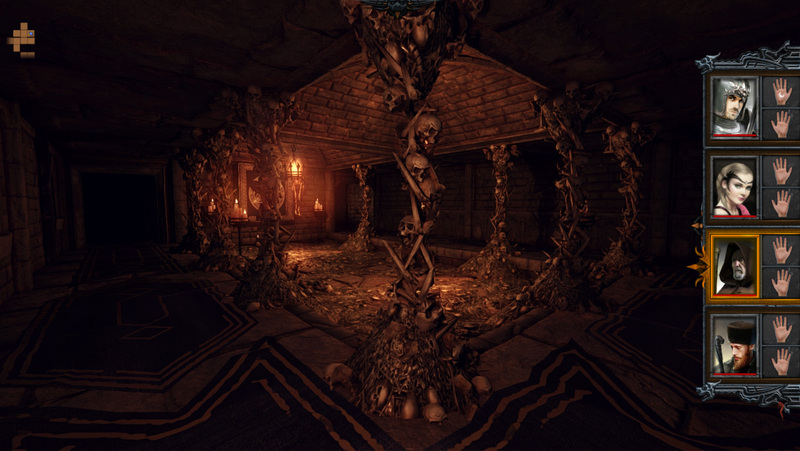 -Valve/HTC and Oculus kindly provided to us some Virtual Reality headsets and controllers to port Dungeon Kingdom to VR platforms. Some good progress has been made so far and we will show something soon. As a reminder, this was one of our IGG promises and the players waiting for it will be happy to know that this feature is on track. This VR port has the same levels as classic (not VR) version, but you will play as a single hero and will interact and move with more freedom. That’s all for this long update. Thanks again to all who support us, either by simply sending some kind words, or by offering their help for testing, translating, correcting texts etc. May the power of Adwij be with you!